Extra Quality, contains only tomato sauce with olive oil and natural spices. Unique in its delicacy. With the recipe for "Grandma", a connoisseur of natural things and MATA following his line of products selected for their incorporated it Quality Natural, made with olive oil and containing no preservatives, thickeners or coloring. Mata was the first brand of precooked dishes in Spain more than 70 years ago. 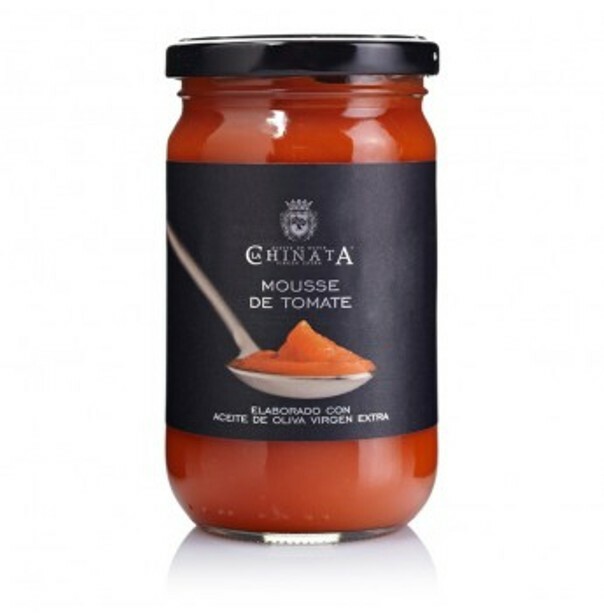 Our tomato mousse, elaborated with extra virgin olive oil, is a smooth emulsion specially devised as a base for dishes of meat, fish, pasta or appetizers. Without preservatives or artificial colouring. Ingredients: Tomato, extra virgin olive oil, sugar, salt. Sweet onion, green pepper, tomato, extra virgin olive oil, salt and sugar. 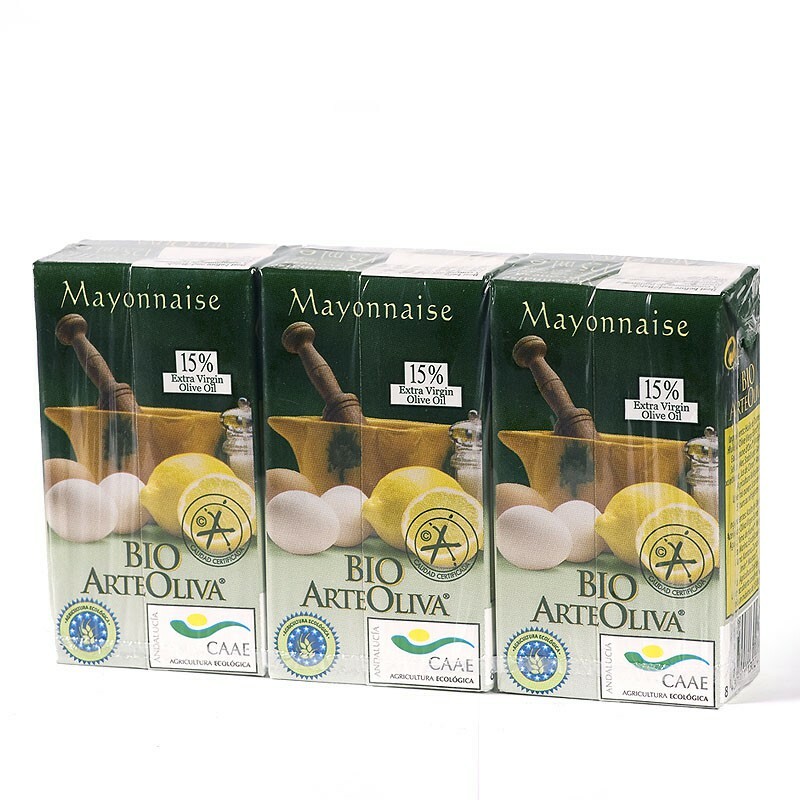 Organic mayonnaise elaborated by Bio ArteOliva with extra virgin olive oil, using the best ingredients, free of artificial colours, conservatives and flavour enhancers, produced in accordance with strict organic food production guidelines. They produce and aseptically package their sauces in Tetra Brik. 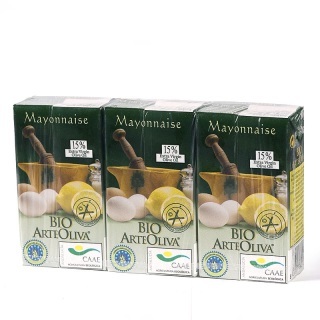 This packaging protects the product from light and air, preventing any alterations in flavour. In addition, They also contribute to sustainable development and the protection of the environment. It acts as a helping hand to agriculturists and livestock farmers who produce organic products. 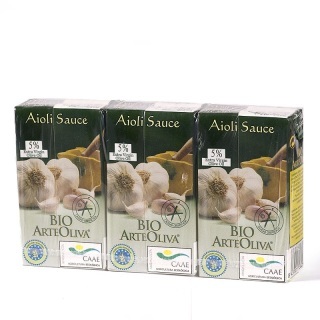 Organic alioli sauce elaborated by Bio ArteOliva with extra virgin olive oil, using the best ingredients, free of artificial colours, conservatives and flavour enhancers, produced in accordance with strict organic food production guidelines. They produce and aseptically package their sauces in Tetra Brik. This packaging protects the product from light and air, preventing any alterations in flavour. In addition, They also contribute to sustainable development and the protection of the environment. It acts as a helping hand to agriculturists and livestock farmers who produce organic products. This garlic sauce is a classic element of the mediterranean kitchen. It is made with garlic and extra virgin olive oil. Ingredients: extra virgin olive oil, garlic, water, lemon juice and salt. Made with onion Denomination of Origin Reca and roasted peppers cut in stripes, all boiled in sugar, caramel and vinegar in a handmade process. Suitable to dress any type of meats (specially red meat), pig sirloin and foie. 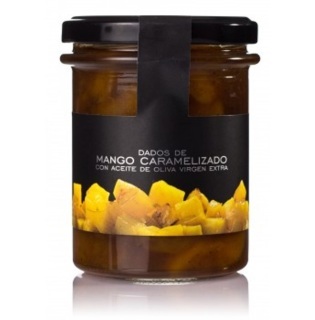 Also suitable with fish, smoked codfish, even to season salads. Ingredients: onion (50%), roasted peppers (35%), sugar, caramel and extra virgin olive oil (2%). 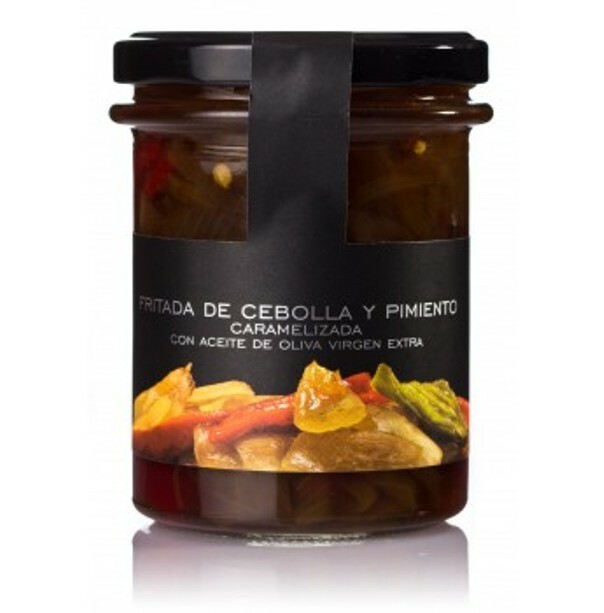 A gourmet product designed to blend and contrast different flavours: peppers, once roasted, are crystallised, obtaining one of the most surprising taste. This product is perfect to dress any type of game meat, fish, omelettes or even in desserts (with whipped cream and rice pudding). 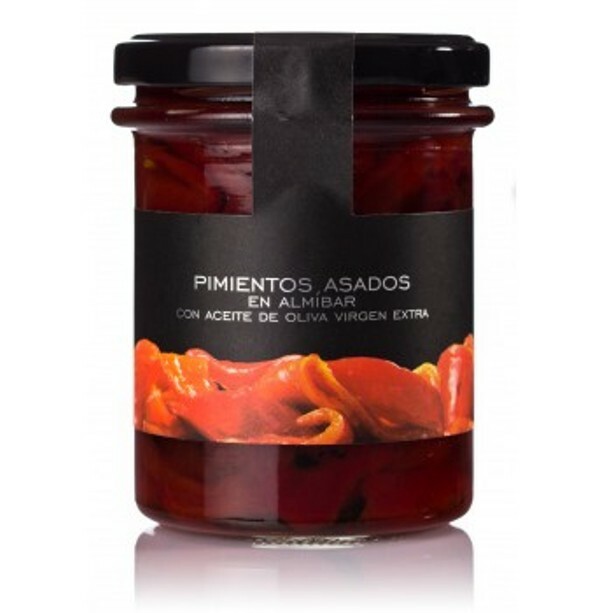 Ingredients: roasted pepper (85%), sugar and extra virgin olive oil (2%). High quality Golden apples, peeled and thinly sliced, are boiled in sugar and caramel with handmade process. Suitable for using in many dishes' decorations and in desserts. Ideal dressing for foie, goat cheese, red meat or cakes. Ingredients: apple (85%), sugar, caramel and extra virgin olive oil (2%). 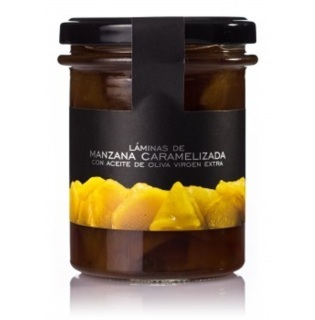 Made with mango cut in cubes, boiled with sugar and caramel with a handmade process. Ideal dressing for meats (specially red meat), pig sirloin and foie. Also suitable for salads. Ingredients: mango cubes (85%), sugar, caramel and extra virgin olive oil (2%). 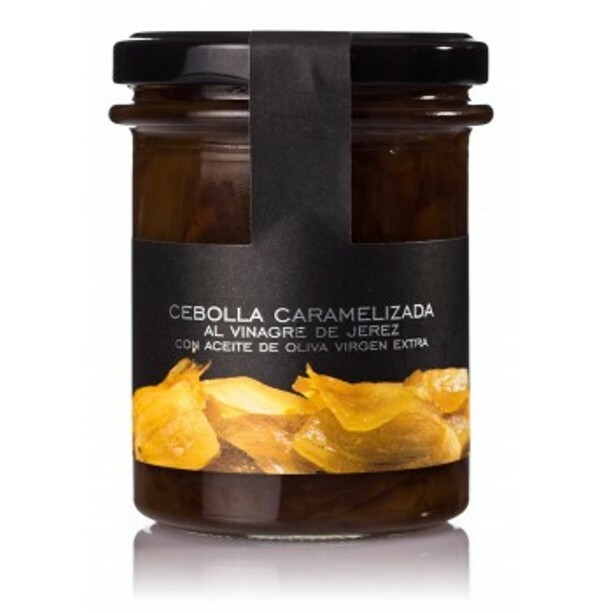 Made with Onion Denomination of Origin Reca, cut in strips and boiled with sugar, caramel and Sherry vinegar in a handmade process. 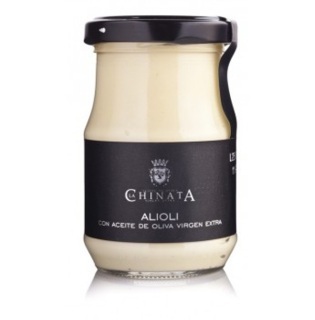 Its flavour make it a perfect dressing for any kind of meats but specially for red meats, pig sirloin and foie. It also blends perfectly with goat cheese and salads. Ingredients: Onion (85%), sugar, caramel, Sherry vinegar and extra virgin olive oil (2%). Delicious handmade Lodosa Piquillo PDO Peppers Sauce, perfect with roasted meats and fishes. Try it, its taste will surprise you. Multitude of uses, they go with just about everything. 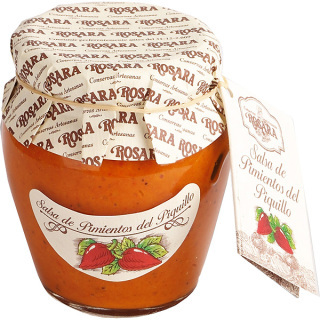 Since its foundation back in 1986, ROSARA has offered quality preserves, not only by selecting prestigious products with denomination of origin, like Navarra asparagus, Lodosa Piquillo peppers or Tudela artichokes; it also requires conscientious, almost home-made preparation, with all that that entails: hand peeling, canning with no additives or preservatives. 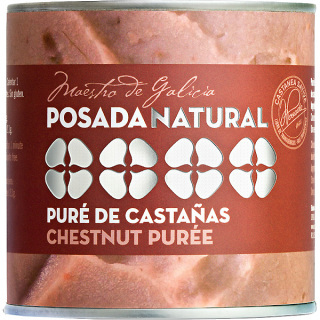 Chestnut Purée elaborated with the famous Galician chestnuts. JOSÉ POSADA, is a family-run fruits company with head offices in Galicia. The company was founded in 1955 when the entrepreneur José Posada Torres first started exporting chestnuts to Brazil. 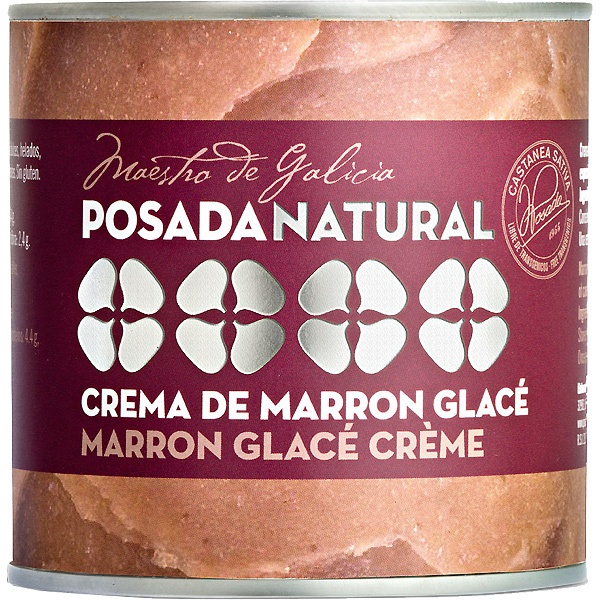 Marron Glacé Crème made with Galician chestnuts. 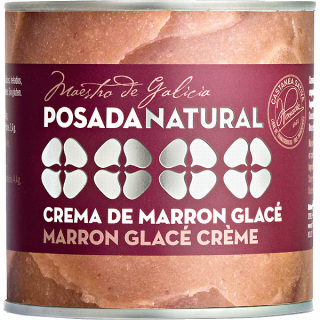 JOSÉ POSADA, is a family-run fruits company with head offices in Galicia. The company was founded in 1955 when the entrepreneur José Posada Torres first started exporting chestnuts to Brazil. This is a reduction especially made for Foie elaborated with Pedro Ximenez by La Tejea, a Spanish company of best quality in the ellaboration of the products. All of them are handmade, following traditional recipes and using first quality vegetables and fruits. 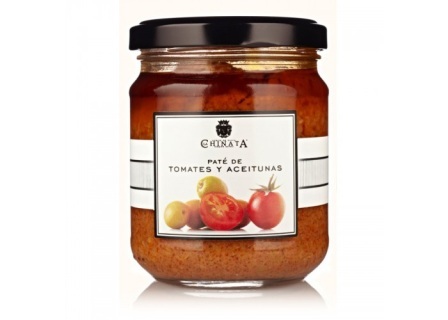 Spanish Popular Sauces. Starting out with a Sofrito. One of the rudiments of Spanish cuisine, the sofrito sauce was originally made by slowly cooking vegetables - basically garlic and onion - in olive oil. With the later addition of pepper and tomato, it became the inevitable starting-point for a huge repertoire of soups and stews all over Spain. Alioli is traditional along the eastern coast of Spain, although it perhaps originated further north in Catalonia. This is a tangy, flavorsome cold cream made by slowly crushing garlic and olive oil, and used to accompany rice dishes or char-grilled fish and meat, amongst others. It probably stems back to Roman times and is made in a similar way in other parts of the Mediterranean basin. 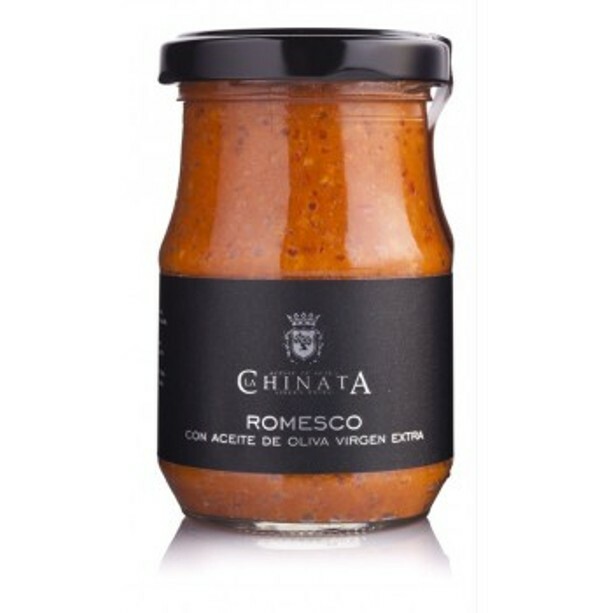 Romesco sauce is probably the most typical of Catalonian sauces. The use of bread, garlic, almonds or hazelnuts, olive oil and vinegar testifies to its Mediterranean origin, with Arab or Jewish influences. The later inclusion of tomato, perhaps to replace a sour fruit, and of dried peppers made it into the sauce we know today. It is an excellent accompaniment for fish, meat and vegetables, and the necessary partner for one of Catalonia's most traditional fresh products - calçots, a sort of scallion. The Mojo sauces come from the Canary Islands. In addition to the basic ingredients of garlic and oil, the green mojo contains green pepper, coriander or parsley. Red mojo is generally made using the native red palmera pepper or pimentón (a Spanish type of paprika), and is usually hot. Salsa Brava is a mildly spicy sauce made with tomato, garlic, onion, vinegar and pimentón (Spanish paprika). On top of potato wedges, it makes the well-known Spanish dish Patatas Bravas. This Gourmet creation consists of bits of caramelized onion in a juicy mix of flavours, sweet and slightly spicy. 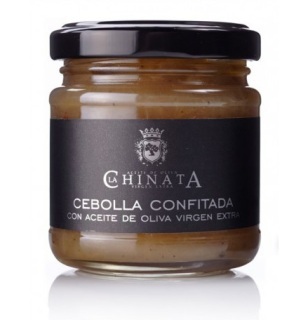 Ideal to combine with cheese, or any meat of fish dish. 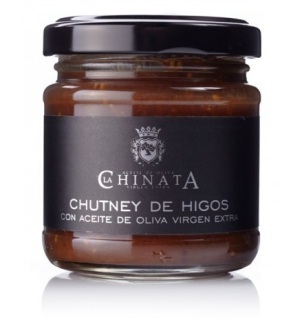 Elaborated by the Spanish company La Chinata. 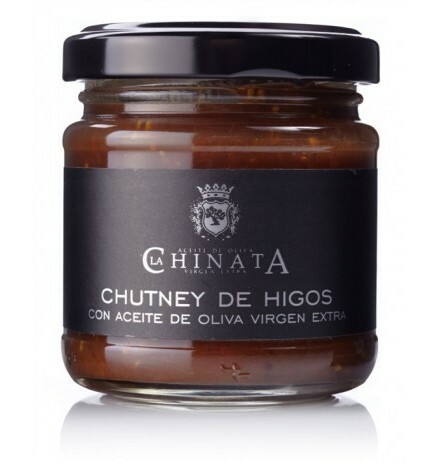 Chutney is an ancient way of preserving fruits originally from India, combining sweet and spicy flavours. We applied this traditional recIpe to figs, a tipical fruit from the region of Extremadura. Makes a perfect match with cheese. 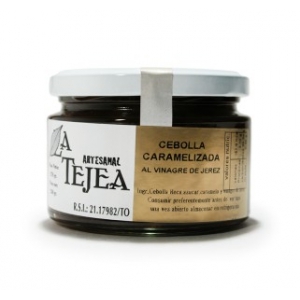 LA TEJEA is a family company specialized in elaborating handmade preserving food for traditional and new cuisine recipes handed down through three generations of one family. They use traditional methods to make high quality, full flavoured preserves that get your mind back to childhood or special places. Romesco sauce is a sauce from Tarragona with olive oil, tomato, pepper and almonds, among other ingredients. It is used for fish stews, to season meat, vegetables or fish dishes. Ingredients: onion, tomato, extra virgin olive oil, vinegar, almonds, hazelnuts, pepper, breadcrumbs, garlic, salt and spices. Tomato sauce is definitely the mother of all sauces. 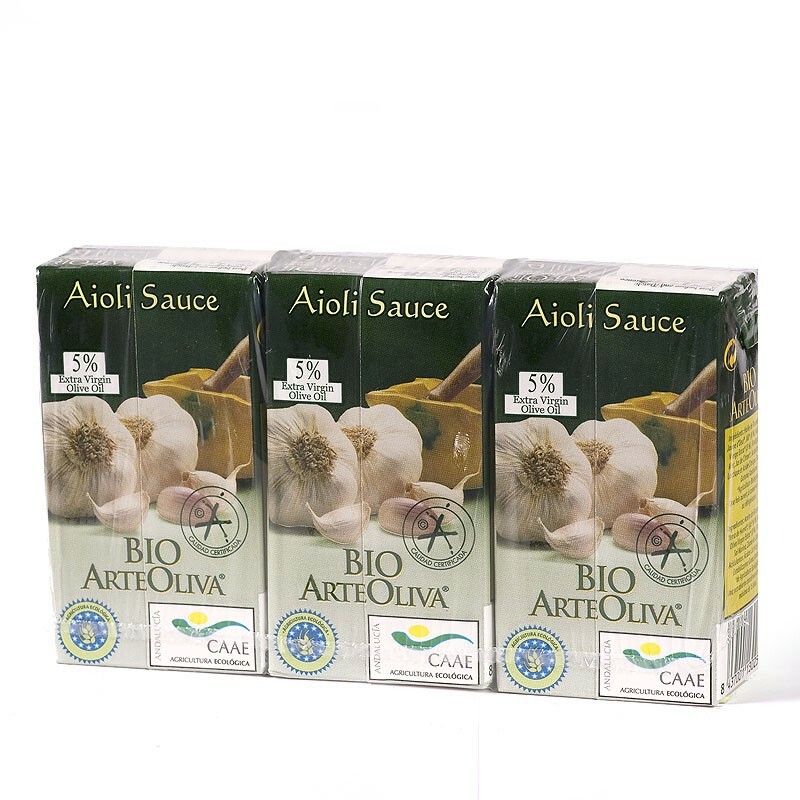 Probably the most commonly used sauces and better acceptance by all, especially in Mediterranean cuisine. 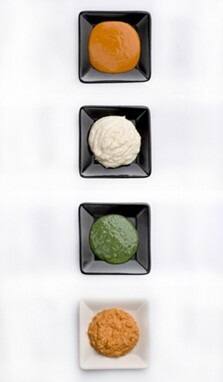 It is a universal sauce that supports endless variations. For those who don't have time to develop a good homemade salsa, I present this sofrito craftsman consistent texture and taste something sweet. 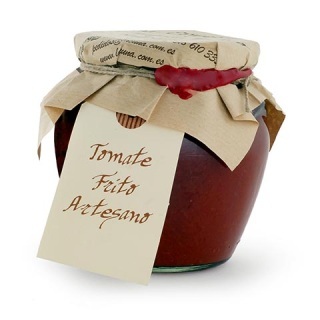 Tomato sauce can be used to accompany the pasta, meat, adding to the rice or anything that comes to mind. Delicatessen unbeatable! Ingredients: tomato, Olive oil, sugar and salt. No additives or preservatives. 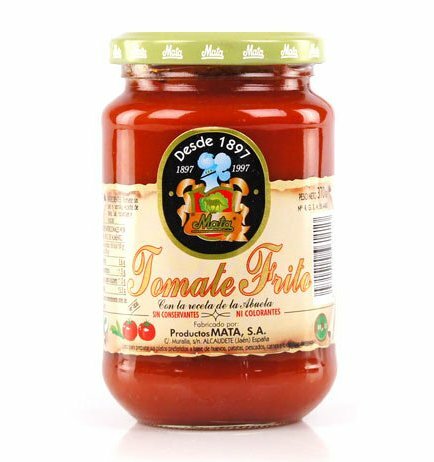 This tomato sauce is prepared starting from 100% fresh vegetables, without adding colorants, thickeners, artificial flavors or essences. Fry all the vegetables along with fresh tomatoes with extra virgin olive oil, thus obtaining a tomato sauce handmade from organic farming. Ingredients:Tomato, extra virgin olive oil, onions, leeks, salt, cane sugar, garlic and citric acid. This tomato sauce is prepared starting from 100% fresh vegetables, without adding colorants, thickeners, artificial flavors or essences. 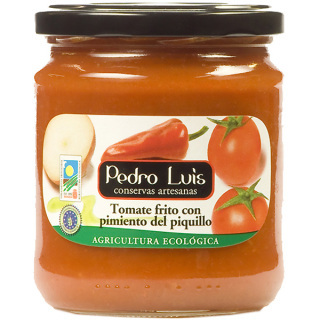 Fry all the vegetables along with fresh tomatoes, Piquillo Peppers with extra virgin olive oil, thus obtaining a tomato with Piquillo pepper sauce handmade from organic farming. 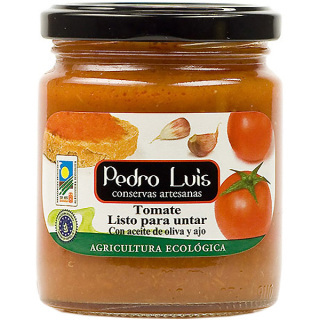 Ingredients: Tomato, Piquillo peppers, extra virgin olive oil, onions, leeks, salt, cane sugar, garlic and citric acid. This tomato is made promptly after collection. The crushed fresh tomato with garlic and extra virgin olive oil is bottled without any added coloring or thickening. Ideal for spreading and as an accompaniment to various foods. 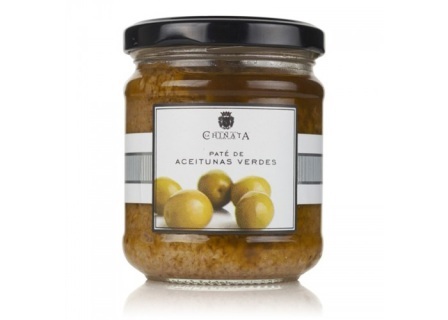 especially spreading it in bread with ham to make the delicious Spanish 'Pantumaca'. 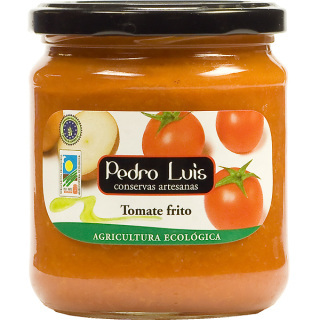 Ingredients: Tomato, extra virgin olive oil, garlic, cane sugar, salt and citric acid from organic farming. A Mediterranean temptation, elaborated with Black Olives and Extra Virgin Olive Oil. ‘Pâté’ is a French invention from the middle Ages, It is said that the first olive paste, also known as ‘olivada’ or ‘tapenade’ was originated in the Provence, although some affirm that it already existed before in other Mediterranean countries before that. Tip: Have it with bread, crackers or crudités. Add it to salads, pastas, pizzas or use it for vegetables, fish or white meat. Also may be used as part of a vinaigrette. 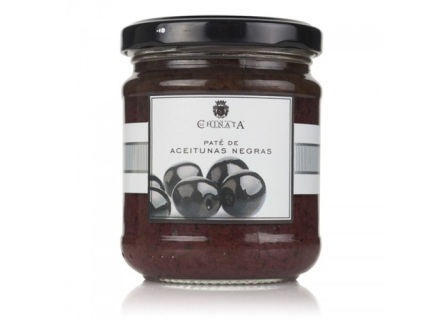 Ingredients: Black olives (97%), Extra Virgin Olive Oil. A tempting appetizer, elaborated with Green Olives and Extra Virgin Olive Oil. ‘Pâté’ is a French invention from the middle Ages, It is said that the first olive paste, also known as ‘olivada’ or ‘tapenade’ was originated in the Provence, although some affirm that it already existed before in other Mediterranean countries before that. Tip: Have it with bread, crackers or crudités. Add it to salads, pastas, pizzas or use it for vegetables, fish or white meat. Also may be used as part of a vinaigrette. Ingredients: Green olives (93%), Extra Virgin Olive Oil. A tempting appetizer, elaborated with Black and Green Olives and Extra Virgin Olive Oil. ‘Pâté’ is a French invention from the middle Ages, It is said that the first olive paste, also known as ‘olivada’ or ‘tapenade’ was originated in the Provence, although some affirm that it already existed before in other Mediterranean countries before that. Tip: Have it with bread, crackers or crudités. Add it to salads, pastas, pizzas or use it for vegetables, fish or white meat. Also may be used as part of a vinaigrette. 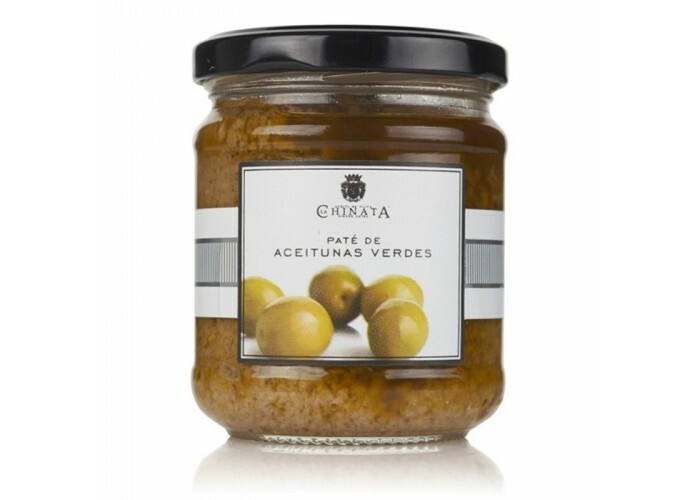 Ingredients: Black and green olives (45%), tomato pulp (27%), Extra Virgin Olive Oil, double tomato concentrate (8%), capers, onion, basil, fructose, salt, and anchovy paste.